Heavenly blog! : Nr. 333: Is remarried ministers worse sins than others? And is it right to focus so much on it? It is God who is our judge everyone! Nr. 333: Is remarried ministers worse sins than others? And is it right to focus so much on it? It is God who is our judge everyone! Is remarried ministers worse sins than others? And is it right to focus so much on it? It is God who is our judge everyone! 1. Tim. 5. 24 Some people's sins are evident, and precede them to judgment, but in others they follow after. 25 Likewise, and the good deeds obvious, and those who are not thus with, but not hidden. Preachers are a pattern for the flock, so he is an example of the believers, for better or for worse. 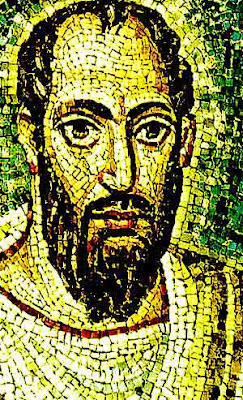 The Apostle Paul stands for me as the foremost of the foremost living here that he learned. And taught in accordance with the revelation that God had entrusted and given him, Hallelujah and Amen! I have in no way wanted to smear someone. Yet it is written that there are sins that are ahead of other sins, so also the good works. For example. Hanvold make a mega tricks to give to the poorest in Europe, for there is help, and overwhelming response. So it is with remarriage, this is an obvious sin that is concrete and tangible. Therefore, if one takes lightly the sin, what about the more hidden and secret sins? No, we must and will hold up God's word says, even with this difficult and painful subject for humans. I want to list 20 different aspects of God's words why it is both important and necessary to clearly proclaim the marriage and against remarriage and to marry a divorced for us who are professing Christians. Not least for preachers and those who have a responsibility in the church of God. 1) The Apostle Paul writes to his younger co-worker the following: "Some people's sins are evident, and precede them to judgment, but in others they follow after." Remarriage or to marry a divorcee is an obvious sin that can not be excused or explained away. And if this sin to pass, then get the rest pass. We do not need or can make light of this sin! 2) After what some say to me is the following. When they were separated they experienced being utfrosset and friendless. Then he met a new partner, then, everything changed for the better. New and old friends came back, etc. Is this true? That it is re-married or married to a divorced accepted, the sexually immoral? But those who are divorced are shunned? This is a number that says, not just a few or one. 3) In the end times, a loving and just accept anything but the word of God and sound doctrine. The abnormal, unscriptural and carnal are the same. But what scripture says and sound doctrine is not tolerated. That I find opposition to preach against remarriage is as expected and quite normal in the light of God Word and what Jesus and Paul said. 2. Tim. 4. 3 For the time will come when they will not endure the sound doctrine, but after their own lusts take themselves teachers in droves, because the itching ears, 4, and they shall turn away their ears from the truth and turn to adventure. (This is 2012 more than ever and time!). 4) A person who marries a divorced have a major responsibility of that sin abound more and more in the church of God. The most important thing is of course what the individual does with his life. But had those who were divorced never got the chance to hit than the new one as they had not either committed adultery. It's actually based on the word of God as seriously to marry a divorced himself to be divorced and marry again, think of the dear friend! Luke 16 18 Whoever separates himself from his wife and marries another woman, he commits adultery, and whoever marries a woman divorced from her husband committeth adultery. 5) The churches that opens up divorced are accomplices in their sin and opens up for demonic activity and spiritual deception (1 Tim. 4 1 etc.). We see here again that it's like the saying says, "Fences are not better than does steal." I have written several articles on this topic, read this. 2. John. b 10 If anyone comes to you and not bring this doctrine, then do not take him into your house, and bid him welcome! 11 for the one who offers him welcome, being an accomplice with him in his evil deeds. 6) After salvation is the choice of life partner is important and greatest thing we do. Therefore, it is so wrong and so decisive negative and bad that churches and Christians from the podiums are not held until more meaning and importance of this. 7) There is a lack of maturity and confidence on their own spiritual point of view that will not take up that to remarry for a believer, or to marry a divorcee is to commit adultery. Is a safe, spiritually mature and sure of themselves and their own point of view is not even such topics as remarriage or to marry a divorced difficult topics and impossible to discuss this. This should never have been mentioned in the Word of God, on the contrary encourage word of God again and again to make disciples. And how can one be a disciple to follow Jesus' teaching? 8) It is as far as I can see that soon only the Roman Catholic church who dare and are willing to hold out and what God's Word says about this. Otherwise, it will soon stand out in this area in most Protestant congregations and churches. There are some who oppose remarriage, but when someone does, then it becomes silent to death if one holds up what God's word says! 9) A person who lives as a re-married or is married to a divorced leading judgment of God church. We have several examples of that sin and disobedience lead judgment, death and destruction of not only than himself. But throughout the church. 10) Gjengiftetde is very little generous and can not bear to be contradicted before then will be smelled and not stand to hear other opinions. This is of course to put things to a head then. But we all have a responsibility to each other that we all will reach the goal - the New Jerusalem. 1. Genesis 4 8 And Cain talked with Abel his brother. And as they once were in the field, Cain rose up against Abel, his brother, and slew him. 9 Then the Lord said unto Cain, Where is Abel, thy brother? He said, I do not know, I'm sure my brother? 11) Those who allow remarriage requires respect, tolerance and recognition. But even they are not willing to give something in many cases. I had just a dispute with Pastor Jan Aage Torp, he got nowhere with me and then he deleted everything he could that nothing of where he was discovered to come forward. But God said to me that this would happen so I had copied everything I wanted here. My experience is that if a cry out or blur the truth about remarriage reactions are the same. They will not listen or repent in most cases, unfortunately! 13) During church time is now, remarriage or a pastor and shepherd to marry a divorced sin and illegal! Titus 1 5 Therefore I let you get behind in Crete that you should put it in the right custom which still stood back, and appoint elders in every city, as I prescribed you, 6 if any man is blameless, husband of one wife, and faithful children not bad words on him for ryggesløshet or stubborn. 7 For the overseer must be blameless as God's steward, not self-righteous, not vredladen, no drunkard, not violent, not lust after the paltry gain, 8 but hospitable, fond of good, sober, just, holy, abstaining, 9 one hold fast to the faithful word according to doctrine, that he may be able both to exhort in the healthy learning and speaking to inform those who say the opposite. 14) During the upcoming 1000 årsriket's remarriage or for a priest to marry a divorced sin and illegal! Ezekiel 44:22: "A widow or a woman that her husband has divorced from, they will not take a wife, but only virgins of Israel. But they can take a widow who is the widow of a priest. " 16) Remarriage makes things even more complicated. It may be that in a period do rashly and ubetenkte things. When getting a chance to repent and return to their spouse if the breakup, for a while. Scripture speaks again and again that we should stick to our first spouses and young love. There really is only death that permits remarriage, even then discourage writing to remarry. But those who choose it then do not sin. Proverbs 5:18-19, TLB. ? Enjoy the wife of your youth, the loving hind, the graceful gazelle! Rejoice always in her bosom, let her love alone fill you! 17) When I was saved for good 30 years ago as it is in most non-conformist congregations sin of remarriage. Today, more than 30 years ago, no one says virtually from. And those who say in the ostracized and seen as unkind, weird and that creates conflict. What has happened? Is not the enemy (Satan) who want the faithful to ear where sin has been allowed and what is right has been trampled on? It is enough, unfortunately so! Isaiah 5 20 Woe unto them that call evil good and good evil, who put darkness for light and light for darkness, who put bitter for sweet and sweet for bitter. 18) Now I'm getting an older man, and my experience suggests that if a first open up a thing, so it comes as a flood after. A small crack in the dam opens up the flood. So it is with remarriage, there's really only one thing that matters. Where they have preached to others, and teaches others to be a pattern for the flock. 1. Pet. 5. 3 Nor, as those who rule over their congregations, but so that I will model for the flock. 19) proverb says, "It is better to be safe than hindsight." "Many will be perfect before they are trained." "It is not gold all that glitters." It tells me that there is great wisdom in listening to others, not himself wise and take it easy! My experience is that to accumulate from partner to partner does everything pretty much all things worse! 20) It is in the Protestant countries where the Pentecostal Revival and other so-called revivals have received the most footing that divorce and remarriage issue is most prevalent. A belief in a god and a triad does the Holy Spirit to a god that this is the most prominent. What is the reason? There are many reasons totally secure. I am sure that some mistake creates even more errors. And it requires a conversion, transformation, and a concussion before God again may seem like he wants and will! Final Comment: Law of Moses accepted the remarriage of their hard hearts sake. Let us consider the law of Moses in Exodus 24:1-4 5 If a man takes a wife and marries her, and it happens that she no longer finds favor in his eyes because he has found nothing improper with her (which offering against him), he shall write a bill of divorce to her, give it in her hand and send her away from his house. 2 If she then, after leaving his house, goes away and becomes another man's wife; 3 and this second husband detests her and writes a letter to divorce her, it at her hand and sends her away from her house, or whether this second husband who took her to wife, dies 4 then you are not the first husband who divorced her, take her back as his wife, after she has been made unclean. For it is an abomination before the Lord, and shall not result in forgiveness of the land the Lord your God gives you as an inheritance. So when someone says we are legalistic or Pharisaic it's completely, completely wrong. We teach that Jesus and the Apostle Paul taught, we are grace and evangelical Christians or believers!